Bittersweet Quilt Shop and Home Décor is owned and operated by Tina Bauer, local resident for 25 years. The unique shop is located in Pinconning, Michigan. Housed inside this historic church building on Fifth Street. Lovingly restored, the structure features beautiful stain glass windows and woodwork common of the era in which it was built (1922), giving our modern quilt shop a decidedly nostalgic look and feel. We’ve proudly been providing the quilting community with an extensive variety of designer fabrics, notions, books, patterns, and more since 2011. Our store’s unique atmosphere is also complimented by a distinctive mix of antique's, gift items, and home décor. 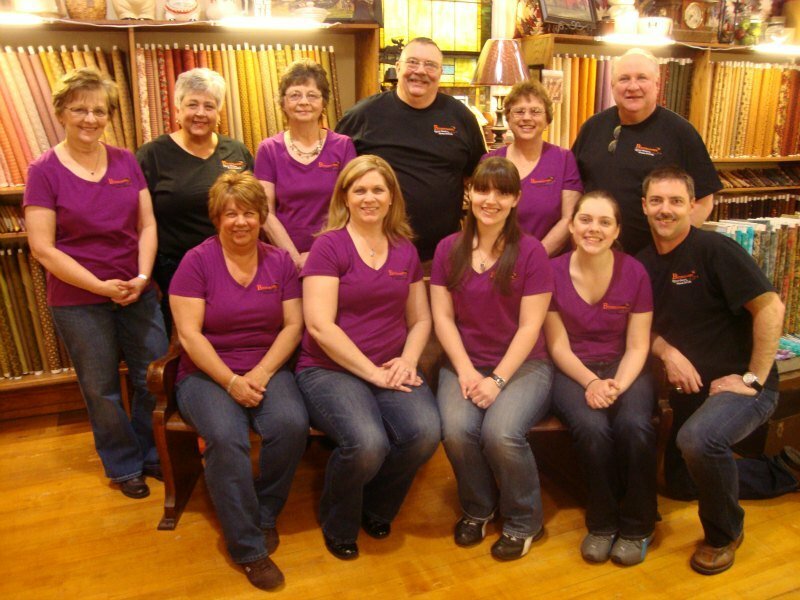 Our mission here at Bittersweet Quilt Shop, in addition to offering the industry’s finest selection of products, is to provide a wide range of exceptional classes, along with knowledgeable, personalized service you just won’t find anywhere else!